The first wave of the free-agency spending spree is over, and while the pace of transactions has slowed, there are still some very good players left on the open market waiting for a new home in 2017. Here are the 10 best available free agents still waiting to sign. Hightower has been one of the best free agents available all throughout the process. He has had a PFF grade of at least 82 in each of his five NFL seasons, and that number jumps to at least 85 in each of the past three. He is particularly effective on the blitz as a supplement to a team’s edge and interior pressure from the front four, and last season notched six sacks and 30 total pressures including the playoffs. In each of the past three seasons he has good grades in every facet of the game PFF measures, and that versatility makes him a perfect fit for a New England defensive scheme that can change radically week to week to gameplan for opponents. The only concern for teams looking to sign him will be the same as it is for all Patriots defensive free agents – how will he fare outside of that defensive scheme? At 346 pounds, Poe would likely be pigeon-holed as a two-down run-stuffing nose tackle by default in today’s NFL, but what made him such an exciting draft prospect was rare movement skills for a man of that size, and he wants to prove he can be more than that. For his career with the Chiefs, he has rushed the passer more than 2,500 times, and recorded just 15 sacks and generated pressure on just 5.2 percent of those snaps. Put another way, he has generated pressure just once every 19.3 snaps in his career, but he believed he can do more than that if he is given license to really get after the QB, and not rush with an eye to contain and gap discipline through the middle of the pocket. His market seems to be slow because teams aren’t willing to take that on faith, and it seems likely that he will need to take a one-year deal with a team to prove he is right, and search for the big-money contract in a year’s time with that proof on tape. Claiborne looked capable of being a legitimate top-tier CB in 2016, which matches with his draft status as being the No. 6 overall selection in 2012. The problem he has is that he played just seven games at that level before getting hurt for the entire remainder of the regular season, and that play was a radical departure from the four previous seasons in the league. In 2016, Claiborne allowed a passer rating into his coverage of just 63.0, compared to one over 100 in his career to that point. The completion percentage he allowed dropped similarly from over 60 percent to 51.9, and he allowed just 8.9 yards per catch, down from 14.4. 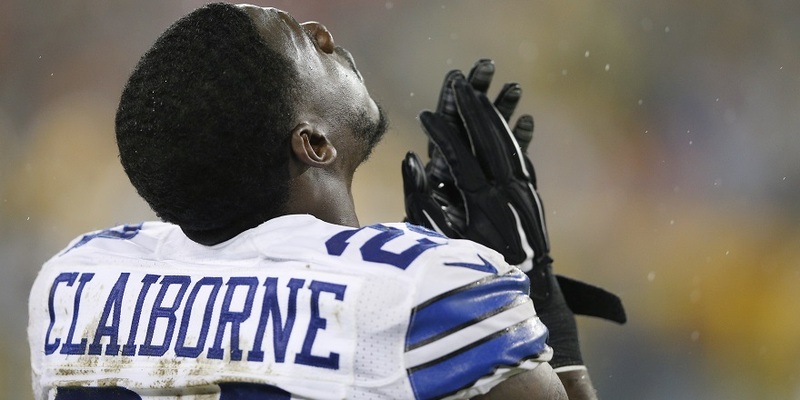 Claiborne has significant talent, but the risk to teams is how little tape there is of his top-level production. McDougald has graded inconsistently over his past few seasons of play, with games all over the map from impressive, to average, to disappointing. He has missed double-digit tackles in each of the past three seasons, but he has also successfully completed at least 75 solo tackles in each of the past two. In coverage he has multiple interceptions in each of the past two years of play and notched 13 career pass breakups, and saw his time split between multiple different spots for the Bucs this past season. McDougald played over 1,000 defensive snaps, and was used extensively in the box, deep off the line and even in the slot. Ware has become a situational player, but one that can still bring some edge rush. He started eight games for the Broncos in 2016, but in only two of those did he play more than 50 percent of the potential defensive snaps. He posted 26 total pressures across 213 pass rushing snaps, but in 2015 he managed 66 pressures in one of the best pass-rushing performances of his career. Ware’s injury history is extensive, but he can add a dangerous pass-rushing element to a team that is struggling to generate heat. For three seasons, Hankins was a very solid run defender for the Giants playing at defensive tackle along the line, but the arrival of Damon Harrison a season ago caused the Giants to ask him to change DT positions along the line and he struggled far more. He may have notched six sacks (having failed to record any in two of the previous three seasons), but he rushed the passer 445 times to get them, and totaled 26 pressures overall. Hankins has shown the ability to be an excellent run defender and rush the passer, but this past year will have teams questioning his versatility. Blount is something of a one-dimensional runner, and it’s not the dimension modern-day NFL offenses are looking for, but as a smash-mouth runner he can be incredibly effective, and his 2016 tape is the best evidence for that. As the Patriots ground-and-pound back, Blount led the NFL with 18 rushing touchdowns, two more than anybody else, and gained 741 of his 1,161 yards (63.8 percent) after contact. He isn’t a dynamic pass catcher, but for a team in need of a punishing ball carrier, Blount is a very solid option. Newman’s play at the age of 38 is barely believable. 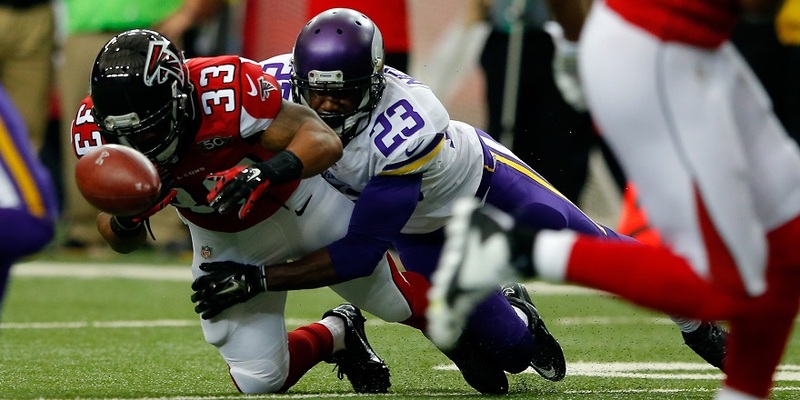 Last season for the Vikings he allowed a league-best mark of 0.58 yards per snap in coverage, and an average of only 8.4 yards per catch. He gave up just one score all season and wasn’t beaten for a catch longer than 24 yards across 754 snaps of play. Newman allowed a total of 31 yards after the catch all season, and though he only had one interception, he broke up five more passes and allowed just 51.8 percent of targets to be caught. He is still playing at an incredibly high level, but at his age teams won’t want to commit to anything longer than a one-year deal. Another of the platoon of pass-rushers that have transitioned to part-time roles, Long was an important player for the Patriots last season even in limited action. Nowhere was that more evident than the Super Bowl, where he notched four pressures from just 15 snaps of play. He generated pressure in every single game last season, but saw his role diminish as the year went on, so likely wants to try again somewhere else where he will play more snaps than he watches from the bench. At his best, Mangold was the unquestioned best center in the game, and while he has fallen from those heights, he can still do a solid job for a team in need of a short-term answer at the position. He hasn’t allowed a sack in his last 33 games, and has been penalized just five times in the past four years. The center spot can be the key to a functioning line, and Mangold’s best attribute could be the ability to provide some needed stability to the right side.